Evergrene is a gated, WCI community, located in the heart of Palm Beach Gardens. It features a beautiful natural preserve which awards Evergrene an Audubon Community. The center of the community features a large lake surrounded by a walking path. The Palm Beach Gardens community has one of the finest and most impressive clubhouses with a huge, resort-style swimming pool. Evergrene real estate offers a wide selection of housing options, ranging from large estates on preserve and lake front lots, to smaller single-family homes, condos and townhomes. See the best homes in Palm Beach Gardens. View homes for sale in Evergrene, or read more about this expansive community and compare prices with recent Evergrene sales. Evergrene is a gated, nature-friendly community comprised of 963 residences ranging from two and three bedroom condominiums to five bedroom single family homes. The community is made up of seven subdivisions and three Associations. The Evergrene Master Association oversees the entire 365 acres although the condominium units known as The Mansions East and Mansions West are governed by condominium associations as well. The make up of Evergrene is as diverse as its home choices. Generally thought of as a family community, residents include a broad mix of young families, single working professionals, retirees and snowbirds. Just minutes to Downtown at the Gardens and the Gardens Mall, both popular shopping & dining venues. Evergrene is Just a short bike ride to Juno Beach which is another positive attribute of this local Palm Beach Gardens homes. . Enjoy dining at several waterfront restaurants in Palm Beach Gardens or visit Whole Foods or Carmines, both staples in the community for gourmet food shopping. See other communities besides Evergrene homes for sale below. 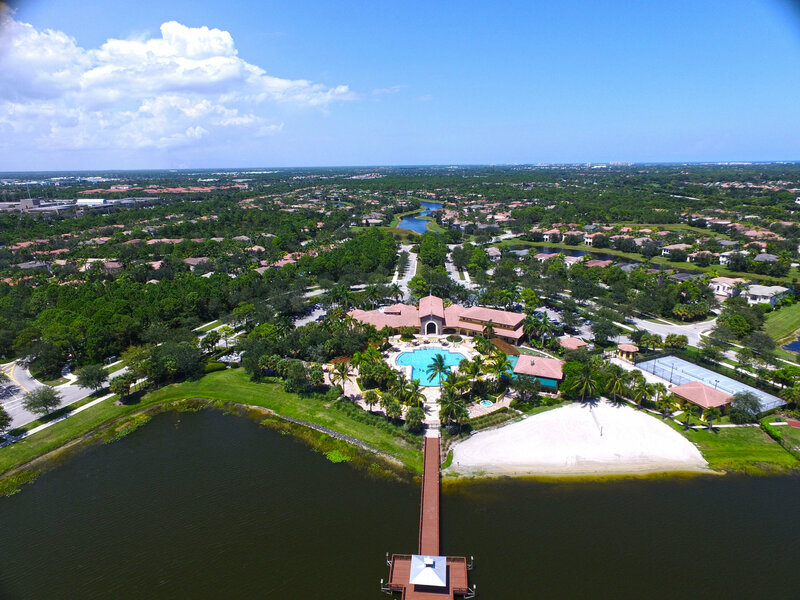 Palm Beach Gardens has become the hub of Northern Palm Beach County and Evergrene is just one of the many communities such as Frenchmans Reserve that was built during the boom times. PGA Blvd runs from Singer Island out to PGA National and has more shopping, dining and attractions on this one street than many towns have. Come check out single family homes in Palm Beach Gardens. The 20,000 square foot Evergrene clubhouse offers many amenities found in some of the finest surrounding country clubs, including: state-of-the art fitness center, aerobics room, adult room, teen room, library, locker rooms and staff offices. The fitness center was just expanded in 2015 to nearly double the original size. One of the focal points of Evergrene is the 1,500 square foot dining/banquet room, capable of handling a variety of functions for over 100 people. The 150,000 gallon resort style pool is one of the largest in the county and is surrounded by areas to both play and relax. Don't miss the pool side Tiki Bar which is a great gathering place to meet your Evergrene neighbors. Evergrene in Palm Beach Gardens is located near Abacoa in Jupiter, and just minutes to the beaches of Jupiter and Juno. Just a few miles to I-95 and the Turnpike, this Palm Beach Gardens community is centrally located for easy commuting. The finest shopping in the area is located minutes away at Downtown at the Gardens and the Gardens Mall. Evergrene has something for everyone - start your search for the perfect home now, or compare sold listings below. Call the local Evergrene home specialist today. We have some other great Jupiter homes for sale in communities similar to Evergrene. The best thing about this area is we have so many great communities not far from one another. From Singer Island homes to Juno Beach homes there is the perfect community for you. If you have any questions about homes in Evergrene or surrounding Jupiter communities, please don't hesitate to email or call Jim at 1-561-744-7025 for assistance. Evergrene homes for sale. Evergrene homes by Jim McLane. See his profile on Google.